Have you ever smuggled drugs through Arches National Park? Done donuts in a meteor crater in Arizona? Driven a truck down a ski slope? Crossed the Brooklyn Bridge without sitting in traffic? Steered your car past a space shuttle, ready to launch? Escaped from the police in the Louisiana Bayou? Have you ever gone so fast through the Mojave that your vision got a little blurry and you prayed the cops weren't around? Well, maybe I've done that last one in real life. For everything else, there's The Crew. 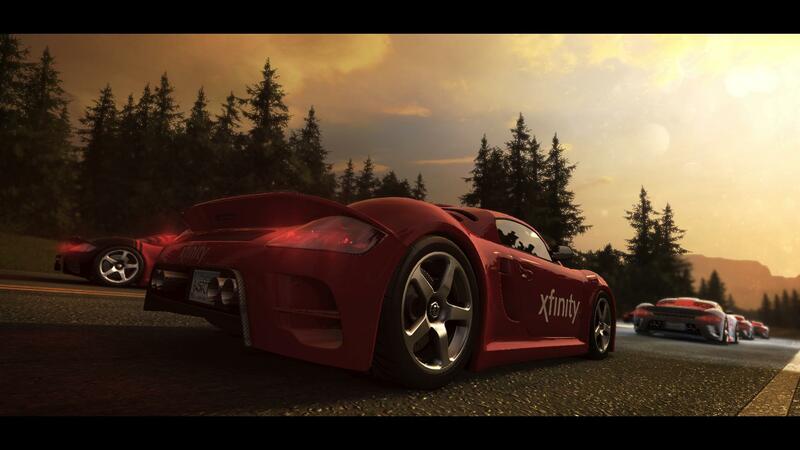 I'm going to lead off with a pretty ridiculous suggestion—The Crew isn't a racing game. I know! It's an assertion that doesn't make any sense! 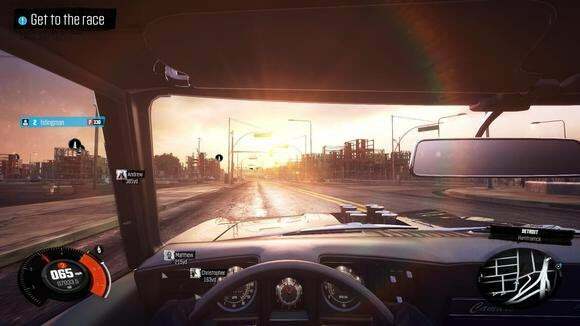 Ubisoft has sold The Crew as a racing game, and there are certainly plenty of parts where you drive your car really fast. Hell, there's a race in this game that's four hours long (more on that later). The Crew isn't a racing game though. Not really. I have no doubt it was pitched as a racing game, and I know why it's being sold as a racing game, and it's because a racing game is something people can understand. It's the same reason Assassin's Creed needs some ridiculous science fiction frame story—because in 2007 the idea of an action game set during the Third Crusade wasn't "viable." But The Crew is a video game tribute to American car culture. It's a tribute to road trips, to roadside attractions and long drives at night, to exploring every single inch of this country in search of some weird landmark or experience. It's a tribute to the packed city streets of Manhattan, the broad highways of Los Angeles, and everything in between. I've spent a lot of my time with The Crew being irrationally annoyed with its map. It's like someone handed a child a sheet of paper and a crayon and said, "Hey kid, draw the United States." Why is Pikes Peak in Kansas? Why is Texas so fat? Why do Boston and Denver not exist? The United States of The Crew also exists in some bizarre fantasy world where the nation is made of enormous cities surrounded by miles and miles of lush wildlife and parks punctuated by quaint villages, instead of the real-life morass of suburbs and strip malls that line most major highways, especially in the coastal regions. 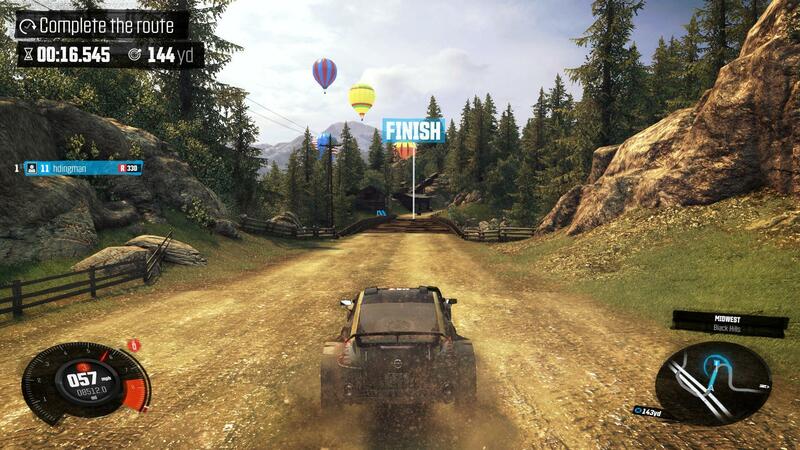 It's an accomplishment though, and despite all my qualms—why do all the signs say eleven miles to the "Great Canyon" but the map uses the correct "Grand Canyon" terminology?—I want to applaud Ubisoft at the sheer audacity of this game. 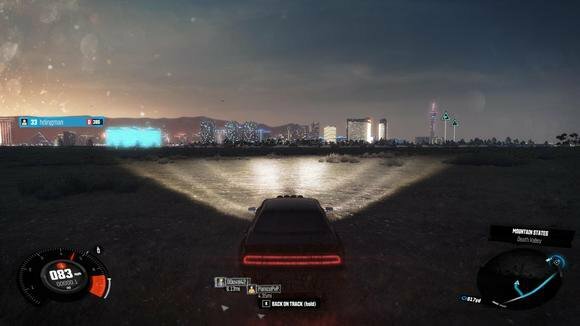 Like Grand Theft Auto, The Crew's strength for me is in recognizing real-life places more than in actually playing the game. 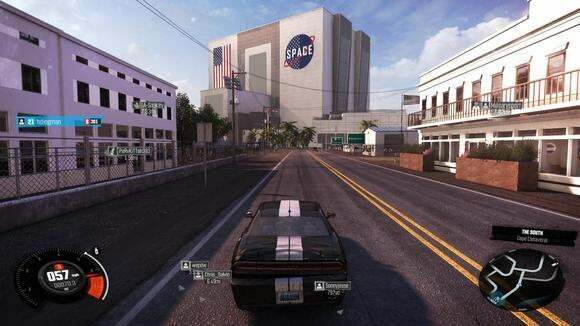 No single place in The Crew is as detailed as Grand Theft Auto V 's Los Angeles, but they've captured the essence of each city and region of the United States. Think about that for a second. Think about what an amazing feat that is. I doubt people in New Jersey or New York are happy that The Crew features "Jersey City" in the "New York" region. And it's all drivable right from the beginning, though you won't unlock activities in certain regions until later in the game. The first thing I did after the tutorial? I flew to San Francisco and drove around and went "Yeah, it's San Francisco." Smaller, less detailed, and a bit geographically mixed, sure—but it feels like that city. So does Los Angeles. So does New York. So do the Utah deserts, the mountains of Vermont, and the sandy shores of Cape Cod. I've also driven the entire width of the country without experiencing a single hiccup, which is impressive. There are some texture and object pop-in issues, especially once you hit the Rockies and you've started driving 200+ mile per hour supercars, but the game runs surprisingly smoothly for the amount of content included. My major complaint as far as exploration is that the radio system is underutilized. For a game this enormous the soundtrack is pretty underwhelming, and there isn't even DJ commentary peppered into the broadcasts. I would've also loved to see some region-specific radio stations—a country station in the South and the heartland, maybe. Overall it's fantastic though. Just not a racing game. "Not a racing game" because the racing aspects are uniformly mediocre. Plus the racing side includes this sponsored garbage. Get out of my game, Comcast. The biggest problem with The Crew is the rubberband AI. I understand the reasons—if you're on a three hour race, you don't want the AI to fall so far behind that the player doesn't feel challenged. The Crew overcompensates though. The AI will blatantly cheat in order to hold onto first for large stretches of each race, with even low-spec cars outpacing your perfectly-tuned vehicle for no other reason than the game thinks you need "a challenge." This makes those epic-scale, multi-hour races so frustrating I don't even want to play them, which is a huge shame because they seem so damn cool. Four hour race? Sure, it's absolute insanity, but it's an insanity I'd be tempted to try. Except you can never feel like you've gotten good at The Crew. One missed turn, one screwy physics moment, and there's a car waiting to zoom into first place. It's way less forgiving than probably any other racing game I've played. I've never experienced more soul-crushing pain from a game than when I lost control of my car in the last minute of a thirty-minute race and realized I'd just wasted all that time. It doesn't help that the handling is overly loose. The Crew is an arcade racer through and through, with handling I'd place somewhere between Need for Speed and Burnout: Paradise. While I love both those series, however, The Crew feels like it needs another pass. It's so arcadey that cars in the same class (Raid, Performance, Street, Circuit, Dirt) feel almost identical, regardless of actual specs, and most vehicles sort of drift and bounce around the world like they're on a pinball table. Not that you'll get to play with many of the cars. Another problem with The Crew is how slowly it doles out money. I can't decide if this was a decision made because the developers thought it seemed correct, whether it was a decision made by accident, or whether it was a decision made to spur microtransaction purchases. The cynic in me wants to say the latter, but who knows? Regardless, you get so little money that twenty-five hours in I'm still primarily playing with the same car I bought in the opening section of the game. It's been upgraded a bunch, sure! And I have five different configurations for the car that let it perform better off-road, or perform better on a track! It's the same car though, because I can't afford anything better after an exorbitant amount of game time, and that takes away a lot of the impetus to run through events. In a similar vein, Ubisoft flubbed car customization. Throwing a decal on your car can cost $45,000—more than the cost of some cars in the game. No, I'm not joking. And that's a shame in a game that does online so well. 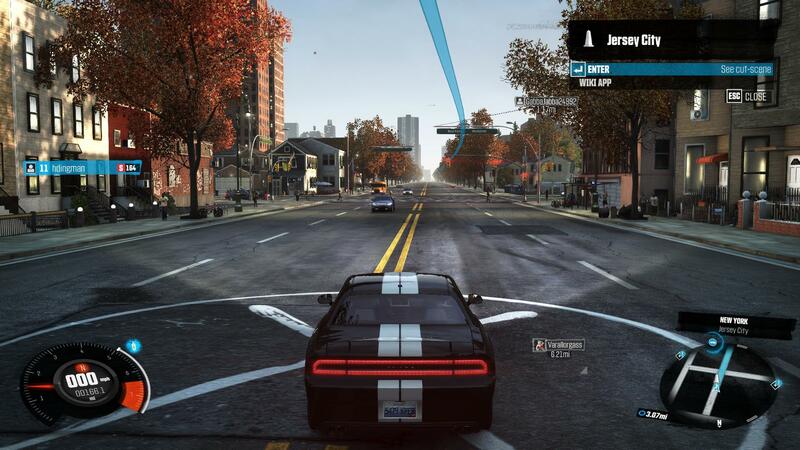 The drop-in-drop-out multiplayer used in Watch Dogs is even better here, with fellow racers appearing in your world when they're a few miles away, allowing you to go meet up with them or not depending on your mood. You can also run 90% of missions as a four-person gang, and some (especially the missions that require you to take down a car) were obviously designed with multiplayer in mind. I played most of the game solo though, mainly because I'd rather explore as a lone wolf than roll as a convoy or play more races. 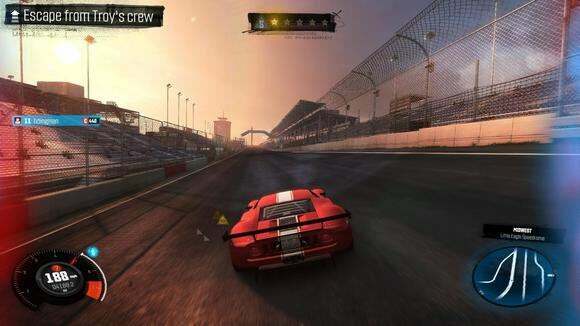 Which brings us back full circle—The Crew just isn't a great racing game. The handling is off, the AI is finicky and cheap, and I haven't even mentioned how absolutely aneurysm-inducing the story is. Last night a main character literally said, "I'm 'r0xx0r', but you can call me Roxanne" followed up by, "The name's Roxanne and I'm a digital angel looking for a knight in shining armor." I love The Crew though, in some way. I love playing virtual tourist, driving around this massive map and occasionally driving around with other players and generally causing mayhem. Have you ever drag-raced from Battery Park to Harlem? Or driven from Seattle to Miami without stopping, just because you could? Because I have. Sort of. Thanks to The Crew.